Presidential Scholar Will Landon, Class of 2020, and one of his childhood heroes will have an alma mater in common — 22 years apart. 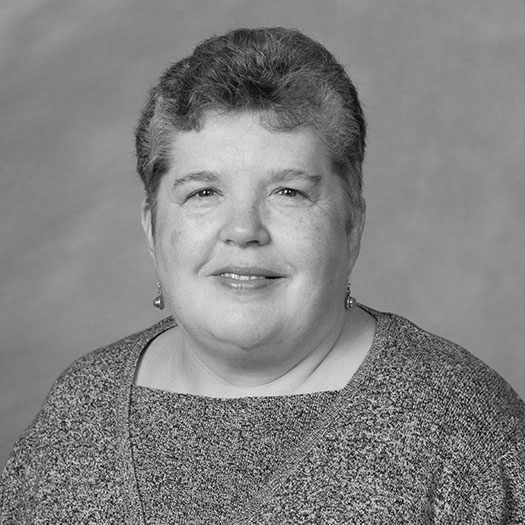 “So our youngest boy, Will, was 9 years old when the coolest guy to hit the neighborhood moved in with his wife, two doors down,” began Beth Macy’s column in The Roanoke Times. “Scott was like the perfect younger uncle. He was uber-fit and extra-funny, and, as an FBI agent, he had hands-down the coolest job of anyone Will knew. So when Beth learned her son, Will Landon, would be joining Wake Forest’s Class of 2020, she texted Scott to tell him Will was headed for his alma mater. “Forgive my pride but he got two Presidential Scholarships, one in music, the other in theatre,” said Tom Landon, Will’s father, who is an online geography professor and filmmaker. Will's first Wake Forest gear: '90s hand-me-down from a childhood hero who also happens to be an alumnus. After he got Beth’s text, Scott showed up at her door with a hand-me-down for Will. He’d found it while he was packing to move out of the neighborhood where so many memories had been made. 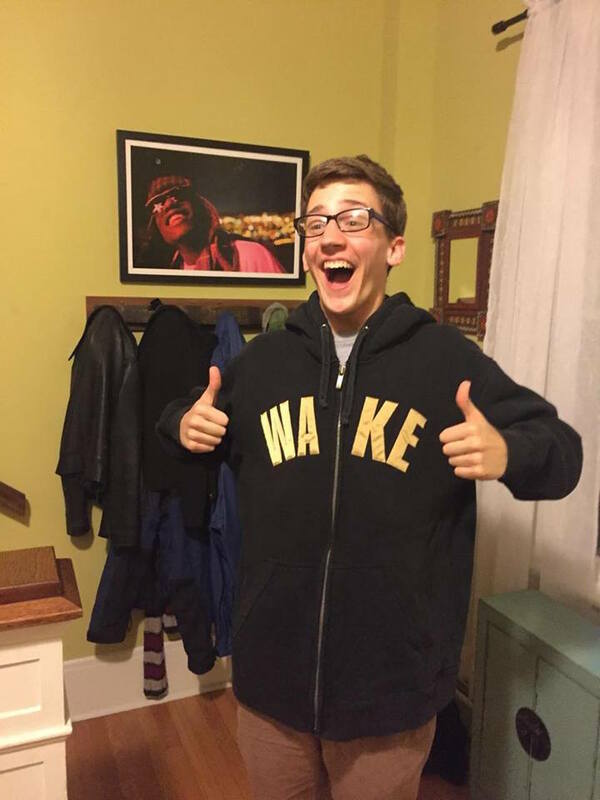 “The Wake Forest sweatshirt dwarfed our skinny Buddy Holly lookalike, who wore it to school the next day and has barely taken it off since,” wrote Beth, who is a best-selling author and journalist. Scott remembers getting home from work and his wife telling him that his friend Will had come over to see if “he could come out and play.” Eventually there would be another knock at the door and Will would be standing there with his baseball glove, asking Scott if he wanted to go have a catch. “Dude, heck yeah,” Scott would say. Scott, who was an upperclass Carswell Scholar, has children of his own now and has relocated, so he doesn’t see as much of Will. Will is busy acting, playing in his band and spending time with his girlfriend. For his music audition Will, who plays upright bass, performed jazz compositions with Wake faculty members. 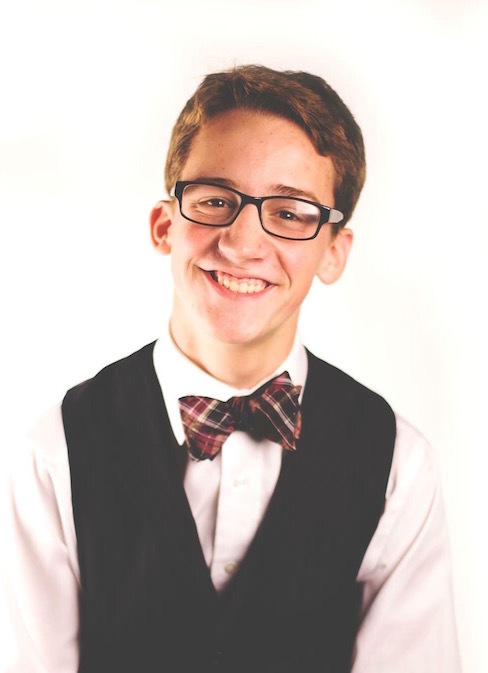 An accomplished forensics student, he performed selections from “Borrowed Time: an AIDS Memoir” and Shakespeare’s “Two Gentlemen of Verona” for his theatre audition.